An dere iz ownlee wun naow! Ohai thx an g’nite, Puddy. 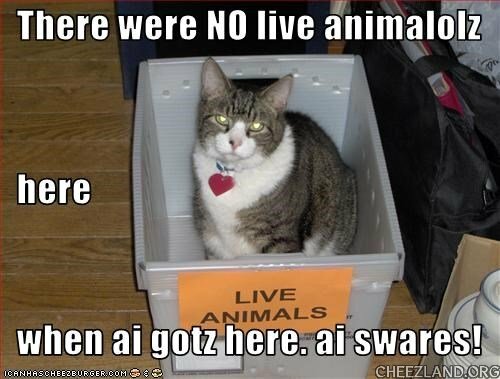 Sign wuz in anticipashun ob yoor arribal, kitteh! I hope all is well with the house of Prysma. Nothing set up, so I’ll try to post something for the 6am Lol. Couldn’t do it earlier – had a bad night and couldn’t brain! Gud u did. Ai had a worri.